Cornelius N. Hiebert was born March 24, 1881, at Bingham Lake, Minnesota to Nickolai C. Hiebert (1852–1923) and Maria Wiens (1850–1916). He became a Christian at age 14. Because of a teacher shortage in 1903, he was granted a permit to teach in a new settlement in North Dakota, though he had only completed grade seven. Later he was granted another teaching permit and taught in Minnesota for a short time. During his time as a farm worker, at age 23, Cornelius felt a call. He decided that if he couldn’t get enough education to be a preacher, he would be a “Bible colporteur”. His father bought him some Bibles and allowed the use of the wagon. He began to preach wherever he could, moving through several states. While in Oklahoma, he became acquainted with a nurse by the name of Tina Harms (1885–1942). She was the daughter of David Harms (1861–1931) and Eva Unruh (1862–1936). Tina and Cornelius were married at the home of her parents in Medford, Oklahoma in 1908. Cornelius spent 1919–1921, studying at BIOLA in California. He returned to Saskatchewan were he continued his work as an evangelist for the Mennonite Brethren Conference. In 1925, the MB Conference invited him to take over the city mission work in Winnipeg, Manitoba. The immigration of Mennonites from Russia at this time led to the rapid growth and development of a number of churches. During part of his stay in Winnipeg, he traveled to collect money and clothing for the refugees who had come to Winnipeg out of much suffering in Russia. The family moved to Hillsboro, Kansas in 1941, where they purchased their first house. Tina died suddenly in 1942. Cornelius was married in 1943 at Brotherfield, Saskatchewan to Helen Harms, a school teacher and sister of his late wife. In 1948 Helen and Cornelius were invited by MCC to Paraguay. For two years they walked or drove with oxen from village to village and from house to house, comforting, preaching, and helping people along financially with money received from friends in the United States and Canada. His wife capably conducted many services. After they returned to the United States, they reported on the work in South America to many churches. Two years later the MB Conference sent them to Germany where they began work with refugee Mennonite families in Huemmerich. They helped start the MB Church at Neuwied. They moved to Reedley, California in 1955, and retired. They celebrated their silver wedding anniversary in 1968. Cornelius died January 26, 1975 at the age of 93. Most of the material was written by Hiebert himself, but other material was added after his death. The material was donated by Esther (Hiebert) Horch on February 27, 1990. She was the daughter of C.N. Hiebert, and lived in Winnipeg, Manitoba until her death. 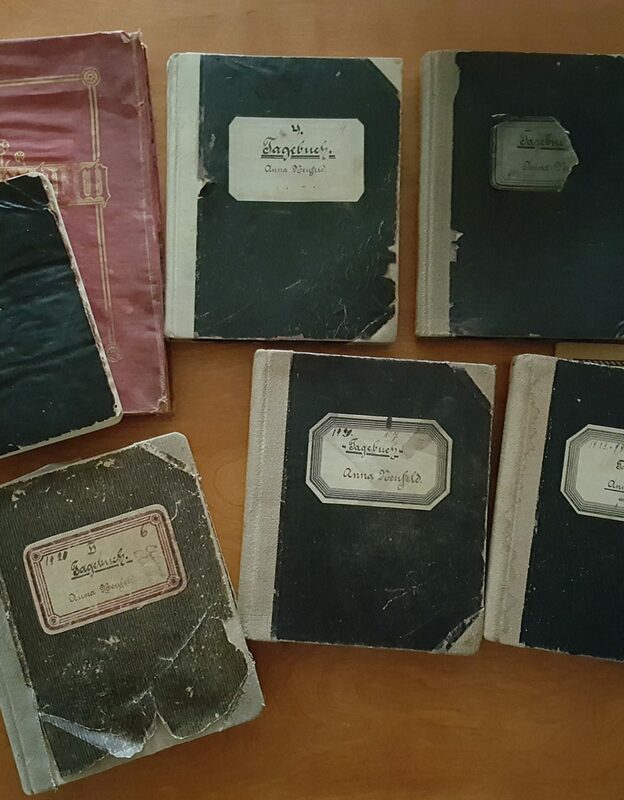 This collection contains some original material such as an autobiography, family genealogy, and poetry written by C.N. Hiebert. Other material added to the collection after his death include business card, memorial bulletin, and an article from the Christian Leader. Some of the material is in handwritten German Gothic script. Described by Conrad Stoesz, November 26, 1999. Location: “H” Small collections, file 7 and 8. 1. C.N. Hiebert, “Life’s Story of C.N. Hiebert,” April 1965. – 2 copies. Deutsche Versammlungen business card. – [195-?]. Clarence Hiebert, “C.N. Hiebert – My Father,” in Christian Leader, March 4, 1975. 2. Christmas poem. – 1899. Poem written in Paraguay. – 1949.